It is a thalassotherapy experience facility that uses deep sea water in Toyama Bay for health and beauty. There is a deep water pool, a jacuzzi and a sleeping hot water. From the observation deck you can see the city of Namerikawa, Toyama Bay, Noto Peninsula, North Alps. Prospect of deep bathing bath using sauna and deep ocean water source There are also bathing facilities. 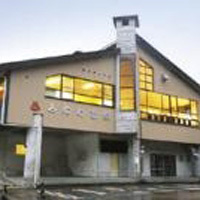 Minowa Onsen (Family House) is a popular hot spring as a day-trip hot spring for local bathing guests, tennis customers, climbers. 〒936-0021 410 Nakagawara Namerikawa-city,Toyama Pref.